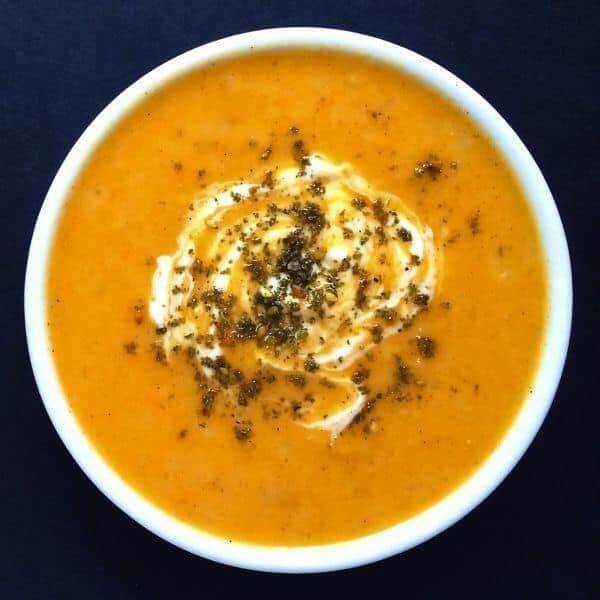 Creamy butternut squash is roasted and pureed with honey, chipotle and smoked paprika to create this easy, healthy and delicious side dish. Have you started menu planning for the holidays? Don’t worry, me neither. Oh wait, you have? Shoot. Well, I don’t blame you..between Thanksgiving, Thanksgivukkah, Hanukkah and Christmas, my family does not miss a holiday! Add a new baby into the mix and this season is surely going to be one to remember. Fortunately, I do not have any hosting duties but I almost always bring a dish or three to pass. 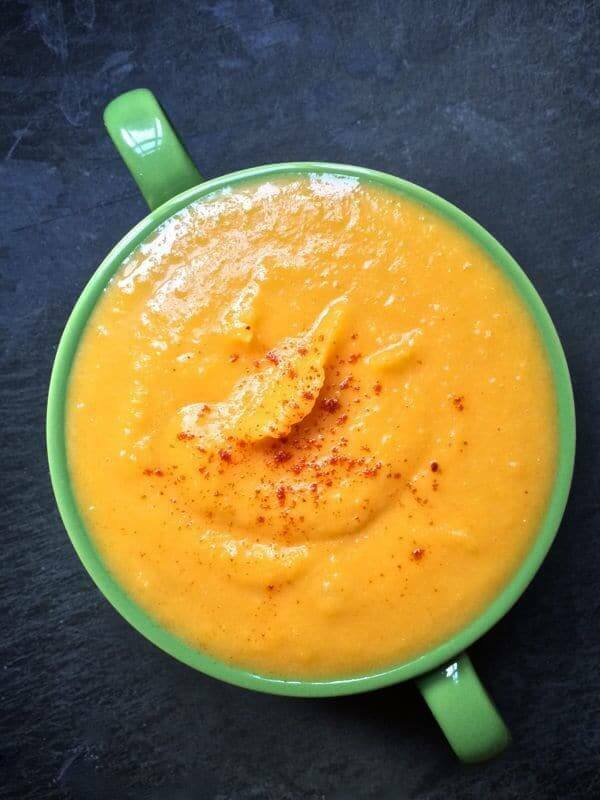 Butternut Squash Puree with Honey and Smoked Paprika couldn’t be easier to make and is full of sweet, smoky and slightly-spicy flavors. To save time on the day of the big event, make this dish ahead and simply reheat before guests arrive. If you want, feel free to swap out butternut squash for sweet potatoes or pumpkin. You’re also welcome to dial up or down the spice level by changing the amount of chipotle peppers or adding more honey. Make it your own and enjoy every bite. Pre-heat oven to 400 degrees and line baking sheet with foil. Place butternut squash cubes, olive oil, smoked paprika, salt and pepper in a medium bowl and toss well to evenly coat the squash. Scatter squash cubes evenly on baking sheet and roast until fork tender, about 20-25 minutes. 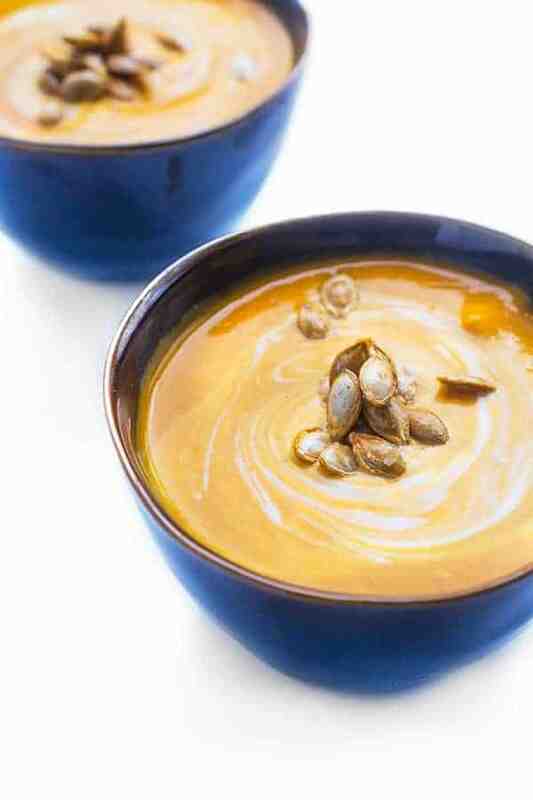 Add roasted squash, chicken broth, yogurt, butter, honey and chipotle peppers to a large food processor and puree until smooth. 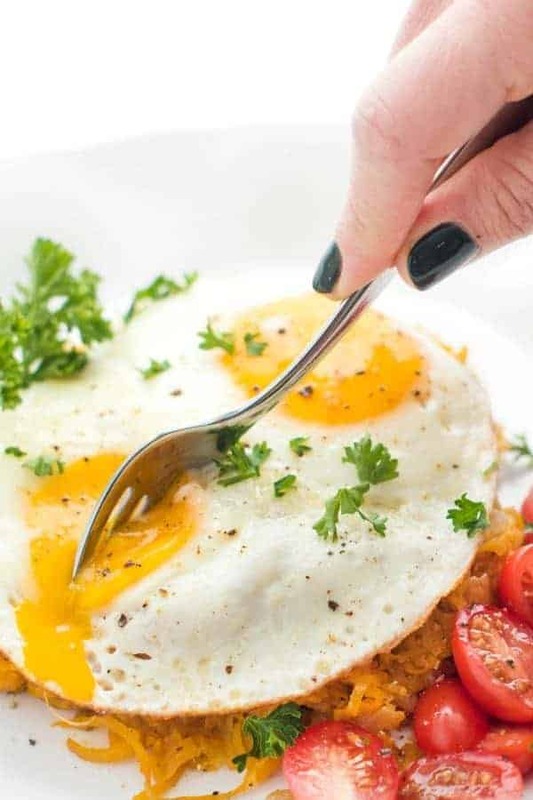 Alternatively, you can puree in a large pan using an immersion blender. Serve warm and season with additional salt and pepper to taste before serving. With Hanukkah falling over Thanksgiving this year, my friend Stefani thought it would be fun to get a bunch of bloggers together and share our favorite Thanksgivukkah-appropriate recipes for you to make for this once-in-a-lifetime event. Of course, these dishes taste great any day of the year so I encourage you to try all of them! Oooh, yes. Smoked paprika makes me deliriously happy. This would be perfect for Thanksgiving! Me too!! I recently ran out and went into a slight panic – lol. Oh, honey. You had me at “honey”. And “chipotle”. Love the idea of these kicked up flavors! Love the smoked paprika in this! My husband will love this! Thank you so much Jessica!! Let me know what he thinks! Liz, nice the share the holiday with you via this virtual potluck. I’ll echo all the others and say I love the addition of the smoked paprika! Love the spicy kick you added to the sweet butternut squash! I love me some spice! Thanks chica! Liz, this looks like a delicious and healthy side to any autumn meal! I also love that you post the nutrition facts! Keep up the tasty work! Yes I like to share nutrition facts for all my recipes – thanks so much Whitney!! Great flavors Liz – loved the honey and smoked paprika. I am with you – we don’t miss a holiday either between both of our families! 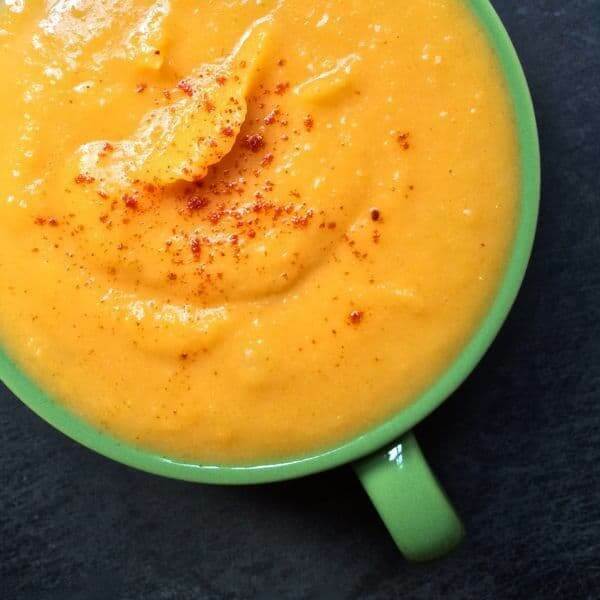 Love this twist on butternut squash–smoked paprika is one of my favorite spices! Oh man me too! And I’m literally almost out of it and getting nervous – lol. I just can’t quit smoked paprika!! You need to!!! It’s so dang good, I promise! The thought of menu planning for the holidays makes me want to pee my pants. 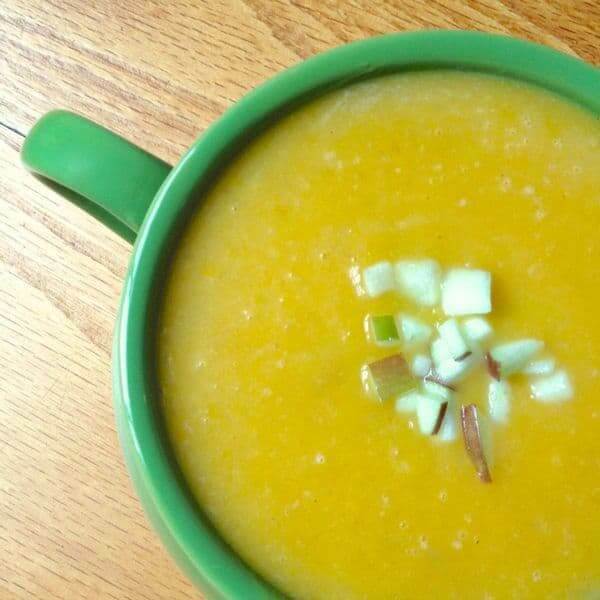 Until that days comes, I will be making this butternut squash puree and then sitting in the corner joyfully eating the entire bowl! LOL me too!! I’m sort of lucky with the baby coming that I get out of too much this year – I have a tendency to want to make every thing lol. I love the combination of smoky and sweet — and I don’t mind cubing squash one bit. This looks delicious and there’s a good chance it will end up on my Thanksgivukkah table! haha so could I – it’s so good and delish!! Thank you friend! Well, if someone is looking for the lazy way out I have a plan. Costco carries cubed butternut squash and for me, that is one convenience I love. Great flavor combination in this dish Liz; I love the addition of some heat! My Thanksgiving will be with my daughters at my older girl’s condo. I am homeless (dramatic huh?) until December 17th when I close on my new home. She is very likely taking a job in North Carolina so we’ve decided it all fits for her to host for the first time as it might be the last time she lives here for the holiday. She has a small place with a galley kitchen and it forces us to keep it simple and I’m OK with that! What a wealth of great dishes…this is not making that ‘keep it simple’ plan easy! I love the idea of keeping it simple!! It will probably be your most memorable holiday yet. Have a wonderful time and good luck with your move Barb!! We embrace all the holidays too, Liz. What are you kidding…and pass up a chance to gather and eat? Paleeze. 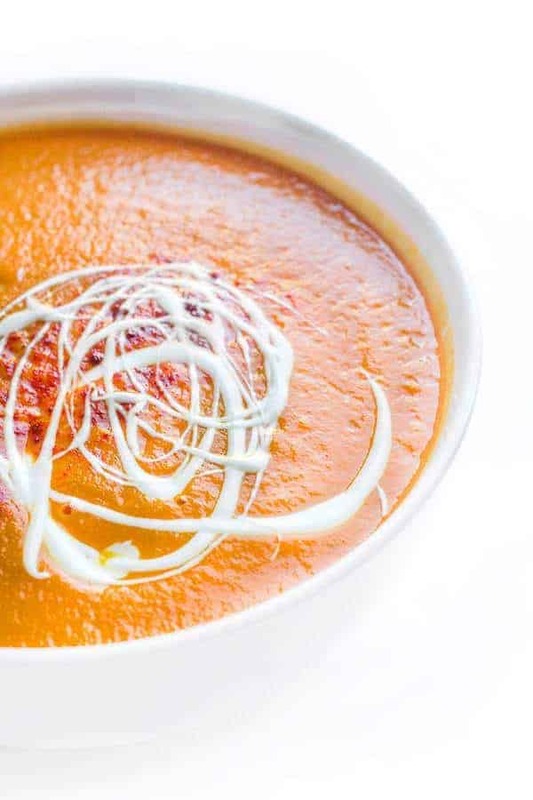 ;-) Love everything about this soup! That adobo should kick start that baby, right?? I love all these flavors!! Sweet and smokey…love this!! Thank you Sam!! Happy Thanksgivukkah! I’m obsessed with smoked paprika! I put it on everything. Love how vibrant this dish is! This looks wonderful! If you’re lazy and have time (I’m definitely lazy, and sometimes I have time) I bet you could just cut the butternut in half, scoop out the seeds, and roast the halves (cut side down) on a baking sheet. Skip the peeling and cubing, and just scoop the roasted flesh into the food processor. But the seasonings . . . I guess my laziness won’t work with that. I’ll find another recipe to avoid peeling and cubing a squash ;) and keep yours as it is.